IFK Göteborg secured their first ever Jukola victory after a very tight battle with Koovee on the last leg. 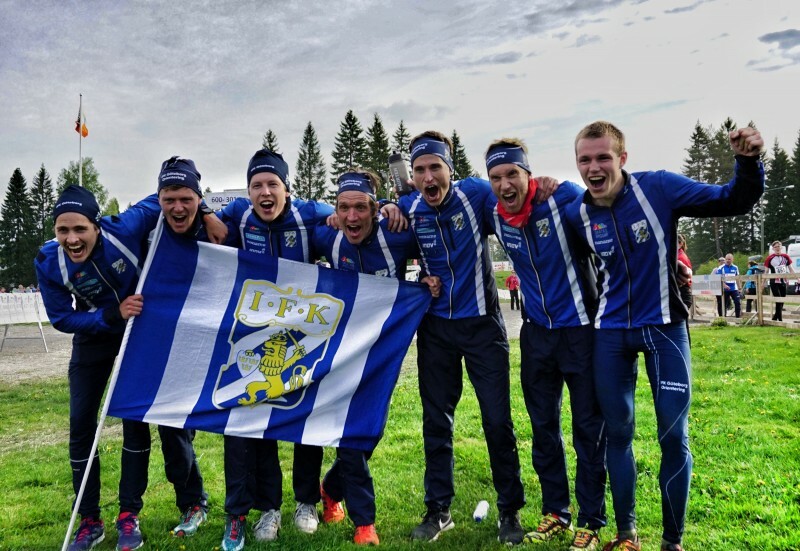 IFK was in the lead throughout nearly all of the relay – building up a 7(!) minute lead already after 3 legs. These 7 minutes shrank slowly leg by leg – until Eskil Kinneberg had only 1:40 left when starting on the last leg with Koovee’s Daniel Hubmann following in second place. 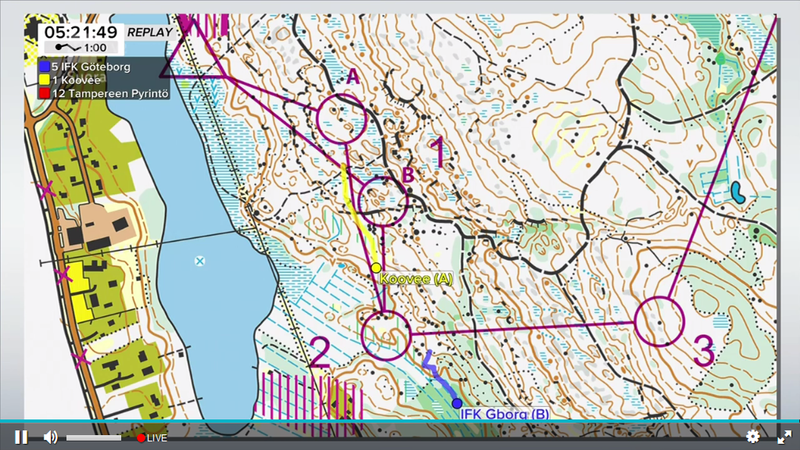 The last leg was a real thriller, with Kinneberg losing the lead already to the second control after a “beginner mistake” where the IFK Göteborg runner just continued nearly 100 meters past the control – and lost 2 minutes! Hubmann got the lead in his pocket, but did only manage to keep if for a few controls until it was his turn to make a mistake – and suddenly Kinneberg was back in the lead. The gap was not big – but big enough for Hubmann to not have the chance to just run behind. Throughout the rest of the leg Kinneberg’s lead varied between 50 seconds and 1:15 – both runners running excellent races. 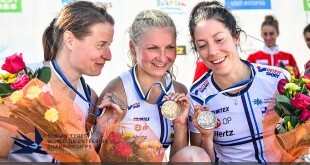 Tampereen Pyrintö won the battle for third place – far behind the two top teams. Södertälje finished 4th and Halden 5th. Turun Metsänkävijät’s Antonio Martinez Perez surprised Sergey Dobrynin on the last meters of the last leg, and took the prestigious first leg victory on this year’s edition of the Jukola relay. Of the favourite teams, IFK Göteborg had the best first leg finishing in 4th place, only 8 seconds behind Perez. Halden and Koovee were also in the Top 15 with less than a minute up to the leading team, but several other teams lost significant time on the first leg. Kalevan Rasti is organizing this year’s Jukola and the biggest Jukola favourite the last years is therefore not on the start. IFK Göteborg has been focusing on being alone in the lead throughout the winter training – and Johan Högstrand on the second leg got a lot of opportunity to show his skills after getting a gap early on the leg. Högstrand ran very well alone at the front, coming to the finish with a massive 4 minute lead. IK Denseln finished second at +4:11 with Koovee at +4:34 in 4th. On the third leg another IFK Göteborg runner showed that he can run alone in the lead. Vetle Ruud Bråten increased the lead to nearly 7 minutes – now with Koovee in second place. 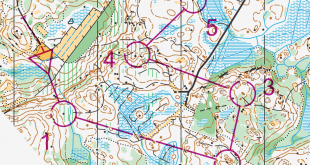 Ruud Bråten was nearly 5 minutes behind the best leg time of Frol’s Paul Sirum, but the closest teams did not mange to run that well, and thus Ruud Bråten could give his team mate Jonas Pilblad an excellent start position. On the 4th leg Jonas Pilblad loses some time, but keeps the lead at nearly 6 minutes for IKF Göteborg even if his race is not a top race. Koovee is still closest after a variable race also by Lauri Sild. Both Göteborg and Kovvee had the chance to get closer to a decision here, but none of them took the chance. 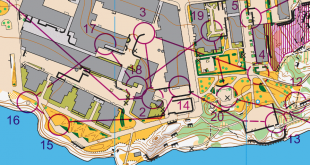 Ärla runs a very good 4th leg and is up in 3rd position at +7:57. 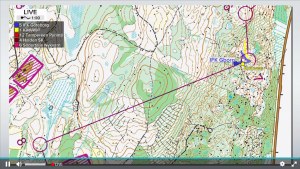 On leg 5 IFK Göteborg’s Fredrik Edn loses nearly two minutes to Koovee’s Kenny Kivikas, and starts making the fight for the victory really open with 2 legs to go and a gap of “only” 4:11. On the 6th leg Timo Sild makes the battle for victory between Koovee and IFK Göteborg wide open by catching 2:40 on IFK Göteborg’s Fredrik Bakkman. Sild runs better technically – and his speed is also excellent. The time gap goes slowly down during the leg, finishing down in 1:40. In the battle for third place TP is best, but is nearly 9 minutes behind IFK Göteborg. IFK Göteborg’s 1:40 minute lead is gone already to the 2nd control where Kinneberg does a big mistake – going much too high and passing the control. Koovee’s Daniel Hubmann goes straight into the control, and builds up a 20-30 seconds lead to Kinneberg. To the 5th control it is however Hubmann’s time to make a mistake, and suddenly Kinneberg is in the lead again. Kinneberg pushes hard and manages to build the lead up to nearly a minute. For the rest of the leg both Kinneberg and Hubmann run very good and stable races, and the lead fluctates between 50 and 60 seconds. And in the end Kinneberg can celebrate IFK Göteborg’s first Jukola victory!